With the end of summer by its brightly colors, autumn begin with its clothes and make-up colors which tend to be warm, that are commensurate with the heavy clothes of this season which are appropriate to the rapid changes of climate in this season, one of the important element that we should pay attention is the nail polish for the beautiful women who want to keep pace with fashion, with stylish view that she is looking for , which are provided by international brands in the world of cosmetics, which used to provide new and beautiful nail polish with the beginning of each season. 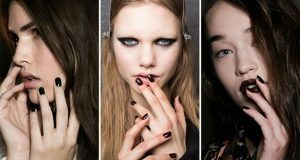 – Dark red Manicures : it is the most exciting color in the world of nail polish , which gives nails breathtaking beauty and charming , and it fits with all the skin colors. 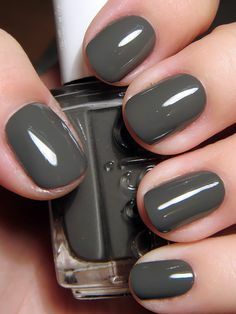 – Brown Manicures : it is a warm color and an attractive color also that fits heavy clothing and the new view of the beginnings of the autumn. – Light pink Manicures : it’s a quiet beautiful color, favored by many of the pretty female characters, and that it can increase your style when wearing autumn and winter clothes with dark color, which gives the clear contrast to the beauty of your hands and clothes. 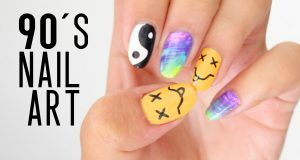 – Blue Turquoise Manicures : after the end of the summer with its fun colors, and degrees of blue that are similar to clear skies , you can replace it with the autumn and early winter, cooler blue and turquoise, which is the one next winter colors, which we’ve seen in many fashion shows. 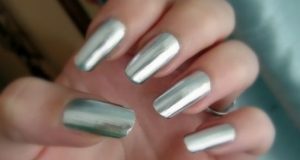 – Gray Manicures : it still with us from the last season, which like many girls and women, it is used frequently in the majority of the fashion shows.